Hosepipe bans are becoming a familiar feature of summer, and with claims that 2012 could see ‘the worst drought in 30 years’, they are here again. Well timed, then, that the theme of a recent Geological Society conference was “Water Futures”. There is often confusion and misunderstanding about water supply in the UK and elsewhere, and I learned much at the event which is not often reported. For example, did you know that most oil extraction produces more water than oil? This water is often hot, so is a good potential source of thermal energy. It may also contain lots of precious chemical elements, such as helium, which we need in labs to run our machines, and lithium, which helps us charge our mobile phones. Even without these bonuses, doesn’t it feel like an enormous waste to just let this water go unused as we currently do? I also discovered that Londoners are unlikely to go thirsty soon: there are big water reserves literally under our feet. Indeed, in the past it was necessary to extract some of this water to avoid flooding of tunnels and other deep undeground structures in the City. Although this is no longer the case, there’s plenty of water down there to quench our thirst for a while. 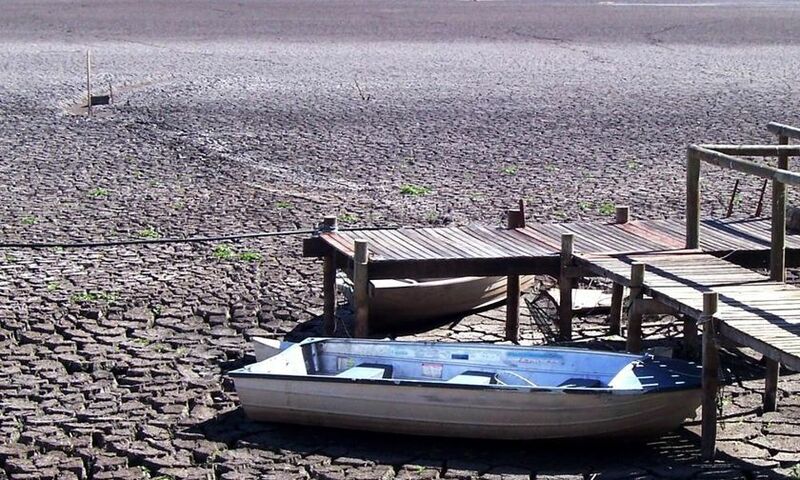 Nevertheless, drought is a very real concern, even in non-arid parts of the world like the UK. Interestingly, here, some of the water crisis issues are more to do with water quality than quantity, with a lot of concerns to do with the effects of industrialisation, agriculture and overpopulation. A big current issue is the excessive abstraction of groundwater, mostly for the sake of irrigation: this water is literally squeezed out of the ground, used to water crops then drained into the sea. Water loss from underground reservoirs as a result of this is so high that it has caused sea level to rise by nearly 1mm. At a time where melting ice is already causing sea level rise, the combination sounds worrying. Climate change, as you would expect, has other impacts on the water cycle. For example, temperature increases cause evaporation of surface waters, linked with increase aridity particularly in certain parts of the world, such as the Med. Higher temperatures also result in higher water consumption, both surface and underground, and when the latter occurs, other problems ensue, such as saline water intrusion into aquifers. Not surprisingly, model predictions often produce very different results. But how can we be sure these differences are real and not the result of the models themselves? Clearly more work is needed here to validate these models and increase reliability. Another surprise of Water Futures, at least for me, came from discovering that it is not only climate affecting water but, rather unintuitively, water use affecting climate too: apparently this is the result of more water squeezed out of the earth, to satisfy the needs of intensified agriculture, some of which ends up as excessive vapour (=cloud & rain) in the atmosphere. The final message I’m taking home with me is that we need to be more clever about how we use water. Not all waters are created equal, even within short geographical distances. Combination of use, which is inevitably disproportionate, and also variations in the nature of different aquifers, makes some more precious than others.The message was that we should value “expensive” water and rely more on the “cheaper” stuff …. if available. But enough about what I think! What do hydrogeologists out there think about the state of water? What are the challenges and priorities in trying to manage water resources as best as we can? 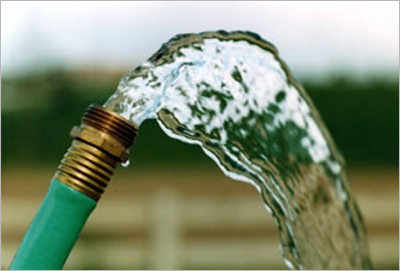 With the 2012 hosepipe ban now upon us in the UK, let’s all contemplate our water future. Tags: climate change, drought, energy, environment, resources, technology, water. Bookmark the permalink.